The three-day conference program features world-renowned experts from multiple fields and concerns regarding timber construction, from fire safety to logistics. 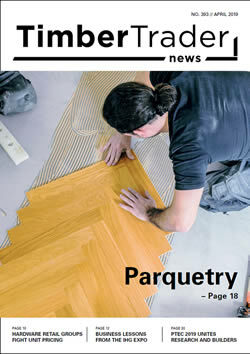 It aims to not only bring new information in the field to participants, but to foster a sense of common cause between different parts of the timber construction industry, from engineers and manufacturers to designers and builders. 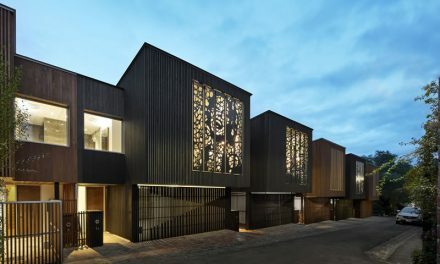 The overall goal of conference organisers is increasing the number of timber buildings in Australia – from tall and mid-rise to domestic structures. 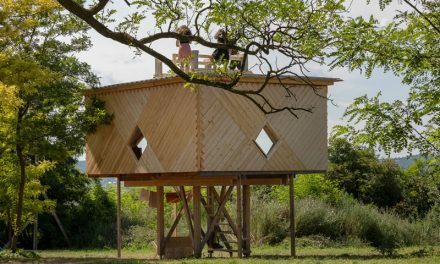 And that’s not just self-interest from those working in the sector; timber is the most sustainable construction material we currently build in, which makes it a vital part of a low-carbon future. 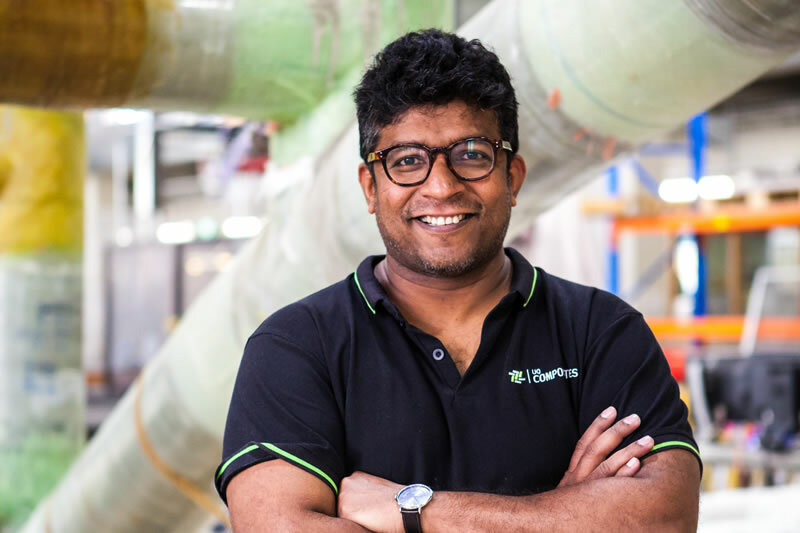 Associate Professor Dilum Fernando is part of the School of Civil Engineering at UQ. His own research focuses on innovative applications of materials (including new materials) and sustainable design. Fernando is a leading voice in the conference’s local organising committee. Professor Jose Torero will be leading the discussion on fire safety. He’s a renowned researcher on the topic and Head of the Department of Civil, Environmental and Geomatic Engineering at University College London. His work at the University of Edinburgh helped show that fires in compartments made of cross-laminated timber (CLT) can self-extinguish without intervention – results that have been replicated in research at UQ. One obstacle to increased timber use as a construction material in Australia is the perception it’s a fire risk: both in the mind of the average lay person and in some of our standards. 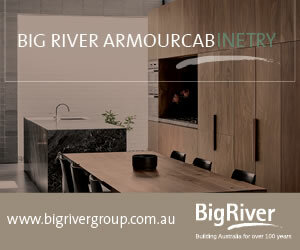 It’s led to our use of timber in larger structures going backwards over time. Those regulatory constraints are based on the perception ‘timber burns’, however timber burns very slowly and has the ability to self-extinguish. Fernando uses the example of setting a fire in a hearth: the large logs we use for the main part of the fire last a long time. “Once timber chars, it burns very slowly,” he says. The Edinburgh and UQ experimenters built compartments using CLT panels and showed they had the ability to self-extinguish once the fuel (furniture, carpets, curtains, etc) in a room is burnt out. As Fernando says, “The charring layer keeps the burning very slow and, once the fire takes the fuel load out, it allows self-extinguishment, provided the building is properly designed. Changing such outdated perceptions of timber, both in the eyes of the public and the regulatory authorities, is one of the key goals of the conference team. Other key speakers include Prof Frank Lam from the University of British Columbia, who will be talking about building design and construction, and Prof Minjuan He from China, who will be talking about the construction of timber structures in China. China and Canada have both seen their timber industries take up new construction methods and advanced materials in recent years. Offering faster build times and much lighter structures compared to steel and concrete, timber is an attractive option, and there are lessons to be learned from the international experiences. 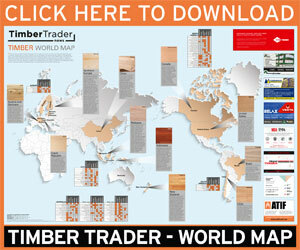 One strong recent development in timber nationally and internationally is the increase in automation. Engineered timber product and mass timber construction often require extremely precise fabrication, which has led to an increased reliance on automation for at least parts of the manufacturing process. “The next part of it is how do we make the assembly process on site automated?” Fernando asks. While skilled builders are important, so is the need to lower the risk to workers on high- and mid-rise construction and to optimise efficiencies. “I think there is probably a long way to go in this, but the path towards bringing in this technology has already started with work done in Germany. This need to work with industry is central to the work being done at PTEC 2019. Two other key speakers are Anna Charalambous and Ben Owen from Lendlease. “They are the experts who led the design and construction of the Melbourne Forte building and 25 King in Brisbane, the world’s tallest timber office building,” says Fernando. 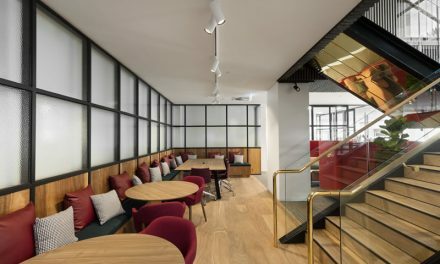 The Lendlease team will talk about the practicalities of their building process and also the reasons behind the company’s shift into tall timber construction. The central reason is, as always in business, cost. 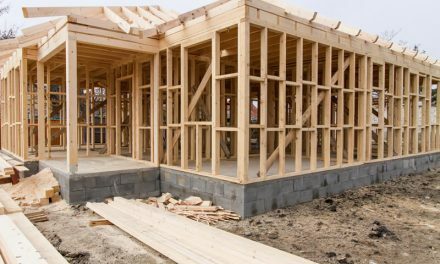 New construction technologies must represent a saving over the old, and the time and project efficiencies represented by engineered timber products and offsite construction more than tick this box for large developers. But these technologies have been slow to trickle out into the wider construction industry in Australia, and this concerns Fernando. “This is the second part of it,” he says. “The education: how do we transfer the knowledge? That transfer of knowledge needs to pick up the interest groups for different things. The last key platform of the conference is sustainability. Again, research is being driven by a combination of need and innovation. Timber construction has already been identified as a practical way to help limit CO2 emissions. One way to help meet our climate commitments is simply to increase the amount of timber used in construction. “If we can get through timber-first policies at both government and private levels, that could significantly affect the market growth for timber,” says Fernando. 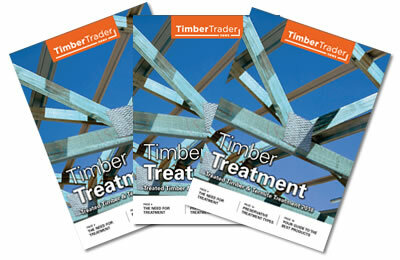 Of course, as we have seen in recent years, with growing demands, timber supply can’t always keep up. This is where engineering solutions become important. As Fernando says, “If we can come up with more efficient structural designs while looking at better performance for the same amount of material we use, then we are going to be able to meet those demands. Currently, most buildings are significantly over-engineered for purpose, even given the increasing extreme weather conditions in our changing climate. If the quality of construction itself can be improved, and the materials made more consistent, with fully understood qualities, then, Fernando says, “we can come up with better-engineered systems where we could distribute our loads much more efficiently.” Current research projects at UQ are progressing down this road, including fibre and timber hybrid technologies that allow both the structures themselves and the construction processes to become more efficient. “The ultimate goal is, how do we make construction even more sustainable by reducing resource consumption?” Fernando asks. The answer involves many parts, but at its heart is being able to reduce the amount of material in buildings to the most efficient level while maintaining safety. Understanding that lifecycle requires information. Leading manufacturers are already starting to adopt BIM (Building Information Modelling) technologies and asset management tools have become central to planning. “These technologies, together with the advancement of other technologies, are essential parts of working towards more effective designs, looking at the whole lifecycle performance and also the construction,” Fernando says. “BIM, to me, is a wonderful tool. It allows us to really look at the information of the buildings at different stages. We can even embed sensors to monitor the building’s performance, which give us feedback and mean we can, if necessary, take corrective actions for any problems we face in the future.” Perhaps no more Opal Tower sagas. Early bird tickets are available until 15 May at www.civil.uq.edu.au/5th-pacific-timber-engineering-conference-ptec-2019. Interested sponsors and/or exhibitors should contact Kelly Rischmiller, ptec2019@civil.uq.edu.au or (07) 3443 1360. Image: Associate Professor Dilum Fernando is part of the local organising committee for PTEC 2019.